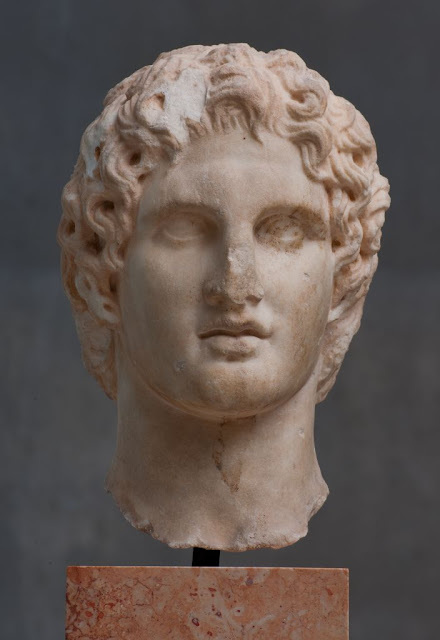 It may have happened more than 2,300 years ago, but the mystery of Alexander the Great's death could finally be solved, thanks to a University of Otago, New Zealand, academic. "In particular, none have provided an all-encompassing answer which gives a plausible and feasible explanation for a fact recorded by one source - Alexander's body failed to show any signs of decomposition for six days after his death. "The Ancient Greeks thought that this proved that Alexander was a god; this article is the first to provide a real-world answer," Dr Hall says. > Along with the reported delay in decay, the 32-year-old was said to have developed a fever; abdominal pain; a progressive, symmetrical, ascending paralysis; and remained compos mentis until just before his death. Most arguments around Alexander's cause of death focus on his fever and abdominal pain. However, Dr Hall says the description of him remaining of sound mind receives barely any attention. These difficulties, along with the type of paralysis of his body (most commonly caused by GBS) and lowered oxygen demands, would reduce the visibility of his breathing. A possible failure of his body's temperature autoregulation, and his pupils becoming fixed and dilated, also point to the preservation of his body not occurring because of a miracle, but because he was not dead yet. "I wanted to stimulate new debate and discussion and possibly rewrite the history books by arguing Alexander's real death was six days later than previously accepted. His death may be the most famous case of pseudothanatos, or false diagnosis of death, ever recorded," she says. "While more modern analyses have attempted to be broader and more nuanced, whatever way people want to conceive of Alexander there is a desire to try and understand his life as fulsomely as possible. "The enduring mystery of his cause of death continues to attract both public and scholastic interest. "The elegance of the GBS diagnosis for the cause of his death is that it explains so many, otherwise diverse, elements, and renders them into a coherent whole."